With every Active.com membership you'll get a free $10 discount. 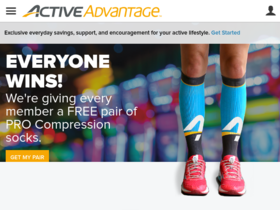 Participate in 4 races with Active.com and get your 5th free (a $70 value). Act now and start you trial of Active.com for just $0.99 cents. Check out Active.com online for their latest special offers. With every membership you'll get hotel and rental car discounts from Active.com.